Edward Chaney’s long-awaited book on G.B. 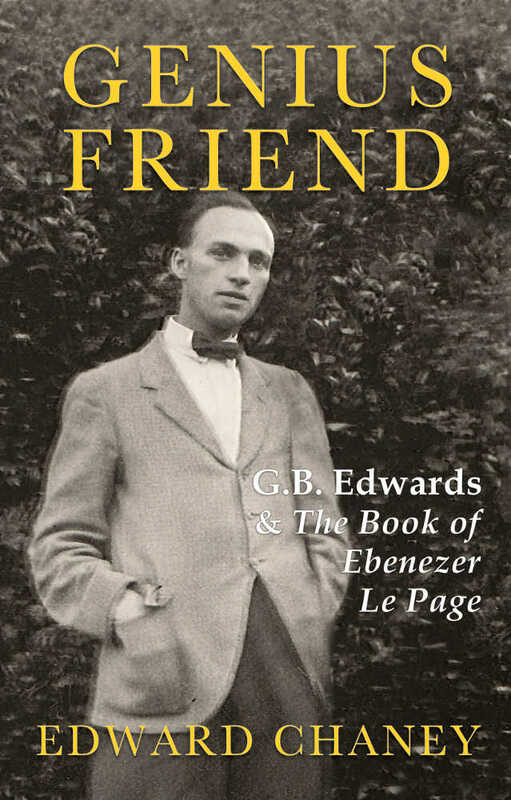 Edwards, Genius Friend is being published and launched at the Guernsey Literary Festival today. And I’m very sad that I’m not there to see it. G.B. Edwards wrote The Book of Ebenezer Le Page, which is by a country mile the best book written about Guernsey. It is essentially Ebenezer’s long life story, and is the most authentic representation of life on the island from the late nineteenth century till the 1960s. It is a tour de force of storytelling. There is a remarkable connection between author and subject here. G.B. Edwards was a friend of the author when Chaney was a young art student, and Edward was struggling to finish the novel. With Chaney’s encouragement the old writer completed the task, and left the manuscript to Chaney who, after a struggle, was able to find a publisher for it in 1981. I was lucky enough to meet Edward Chaney through mutual friends Jane Mosse (now Fleming) and Richard Fleming in 2010. Jane has helped Chaney with research for the book. And Edward Chaney was also kind enough to write the introduction for A Guernsey Double, the book of poems by Richard Fleming and myself. Click through here to read what Richard has written about it the publication of Genius Friend on his blog here. I can’t wait to read Edward’s book, whose lovely title was taken from this sad portrayal of G.B. Edward’s life in The Spectator in 1982. But more I personally love this book because it ends in the sixties, when I lived as a little child on the island, and reminds me of my Grandfather and other family members. It is a kind of pre-history to a part of my own life. Most of all I empathise with the pervading feeling of sadness present in the book, written by a man in self-imposed exile from the island he loves. This entry was posted in A Guernsey Double, a writer's life, Guernsey Literature and tagged Edward Chaney, G.B. Edwards, Jane Mosse, Richard Fleming. Bookmark the permalink.